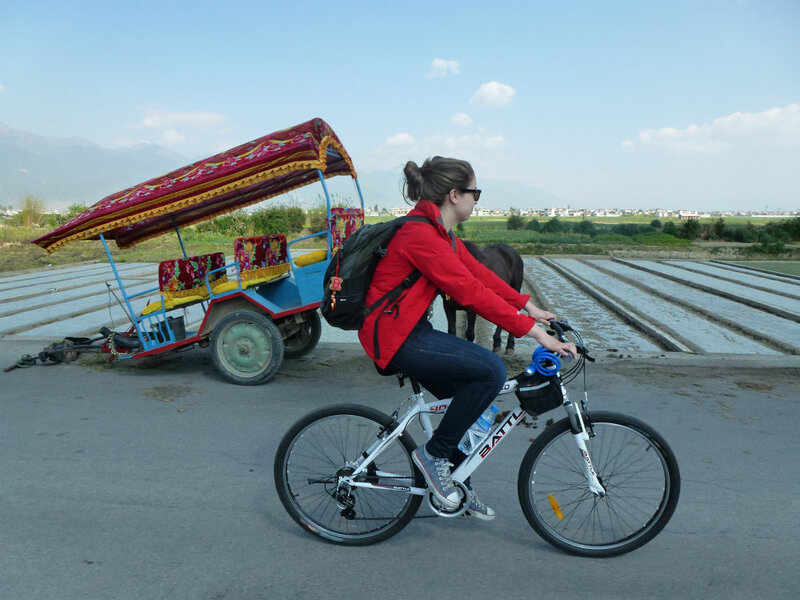 It had taken us a 37-hour train journey followed by a 6-hour bus ride to get to Dali, but our somewhat spontaneous decision to change our travel plans to include a detour to one of Yunnan’s most famous towns seemed justified the moment we started wandering through its cobble stone streets. 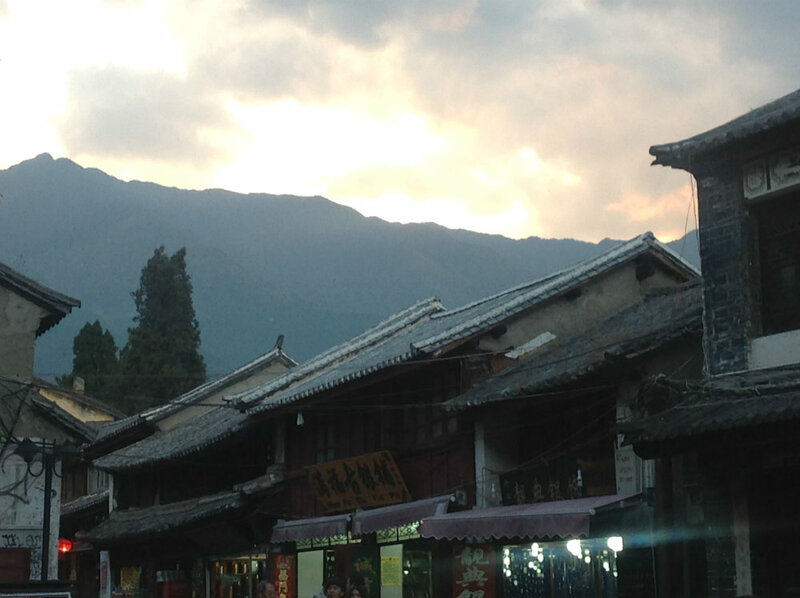 Our research had told us Dali and its more famous sister-town Lijiang were extremely touristy, but the book O. was reading on the train – China Underground by Zachary Mexico – made it sound like a hidden paradise on Earth. 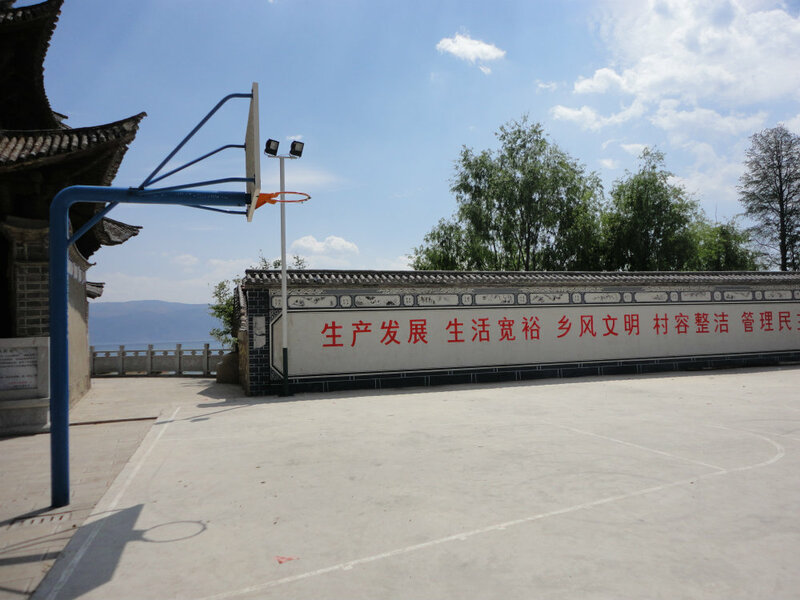 So, instead of hopping straight on a bus south to Xishuangbanna upon our arrival in Kunming, we headed further west. 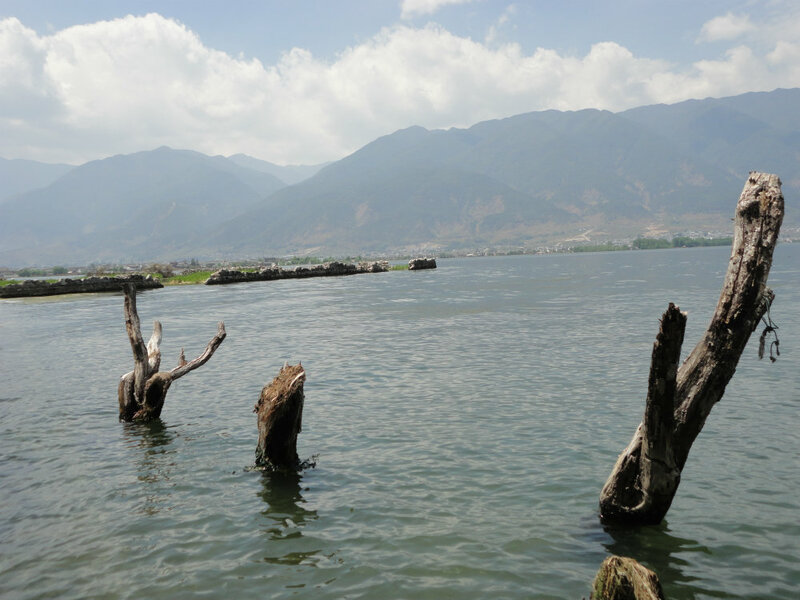 With the Cangshan mountains lining one side of the Old Town and the Erhai Lake (one of China’s largest freshwater lakes) on its other, Dali is a perfect embodiment of the Chinese concept of ‘shanshui’, or, as Zachary Mexico describes this Chinese description of perfect natural harmony: “It has mountains, it has water, it has everything”. The first thing we noticed was the blue sky. And the pale fluffy clouds floating by. It is safe to say that clear skies are a rare occurrence in Shanghai, or in any other major Chinese city for that matter. It was beautiful. 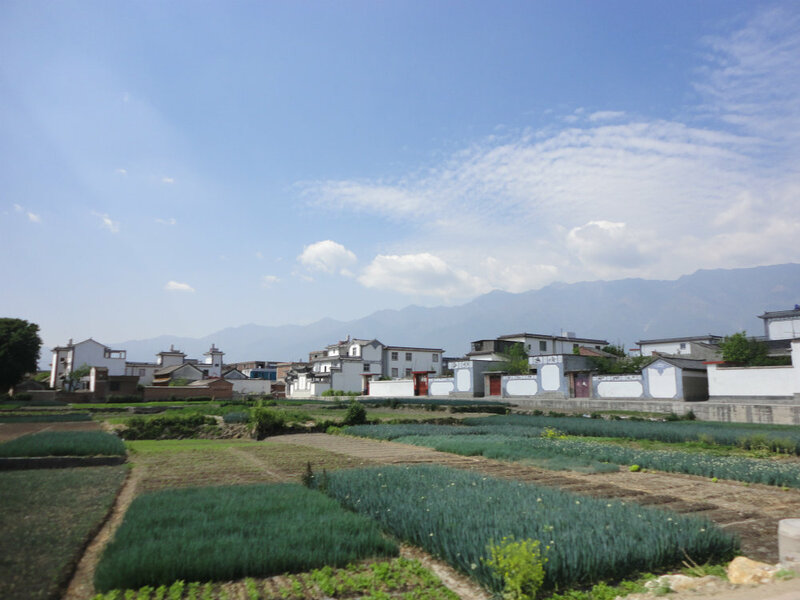 We found a little hostel (the Lily Pad Inn) situated against the mountains and wandered through the streets until nightfall, looking up in wonder at Dali’s starry night-sky. The next day, we woke up early and stumbled upon a morning market in our search for a bike-rental shop. 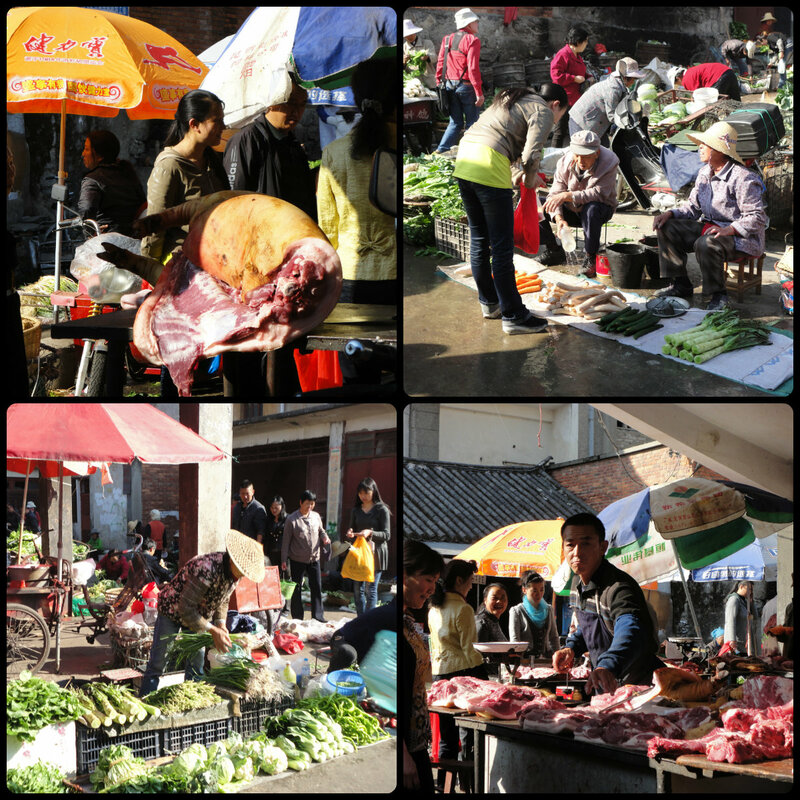 We buy our fruits and vegetables at a local wet market in Shanghai, but somehow the clean air, lack of other foreigners, and ethnic minorities wandering among the vegetable vendors and butchers swinging their bloody meat cleavers made this one a lot more interesting. We rented two bikes for the day and, with O. as our guide seeing as I have a truly terrible sense of direction, biked towards the water. Our ride north along the lake turned into a 44km journey and resulted in me being slightly (ehm, severely) sunburnt, but it was worth it. 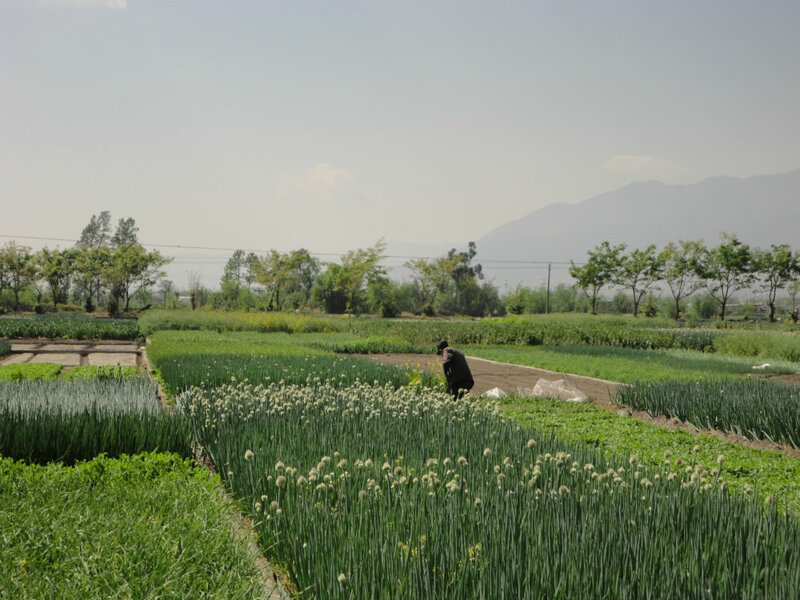 The air was crisp and full of the smell of fresh garlic and vegetables. 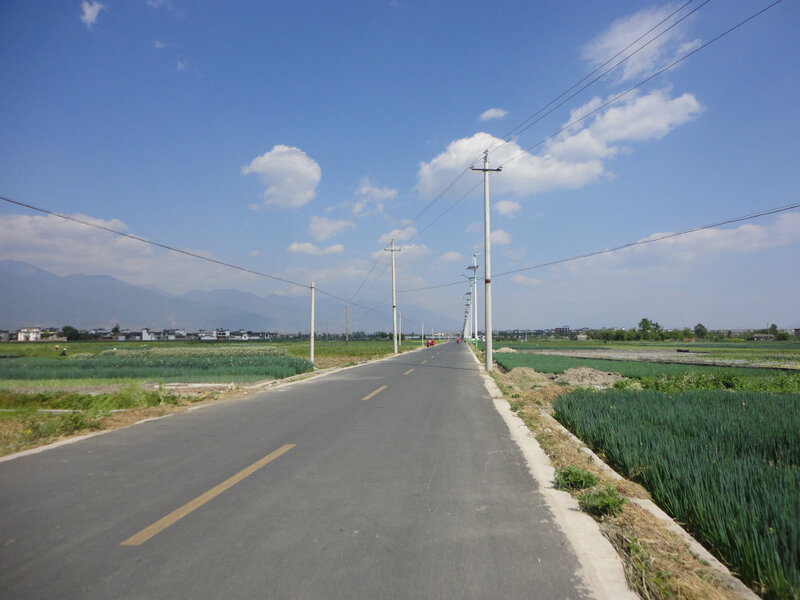 The recently built road was flat and smooth. We biked past fields. 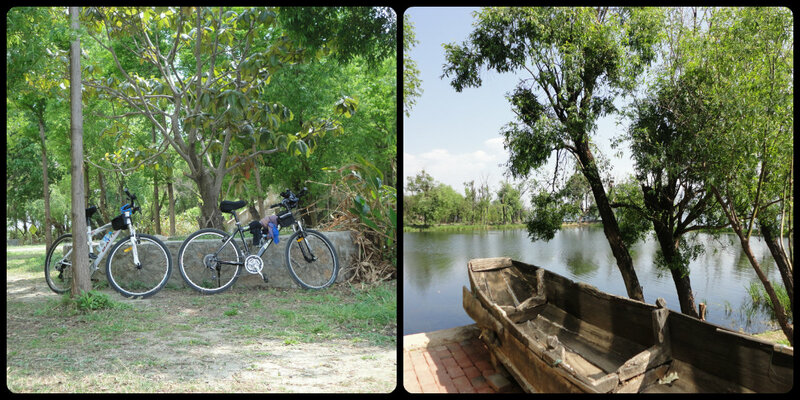 We biked through villages. We biked past a lot of water. And slowly our lungs emptied of pollution, our skin stocked up on much needed Vitamin D, and our eyes adjusted to the beautiful landscape. Exhausted, we returned to the Old Town by late afternoon. 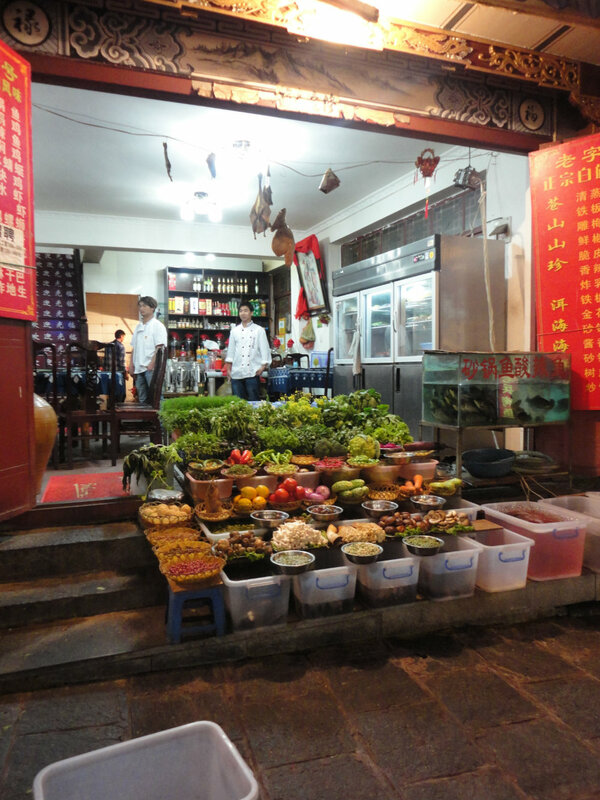 Dali has two famous streets: Renmin Lu and Foreigners Street, along which little restaurants and cafés are situated. The town is literally full of Western bakeries, bars, and coffee shops. These places are equally packed with Western backpackers and tourists that never quite left the idyllic town after their travels. 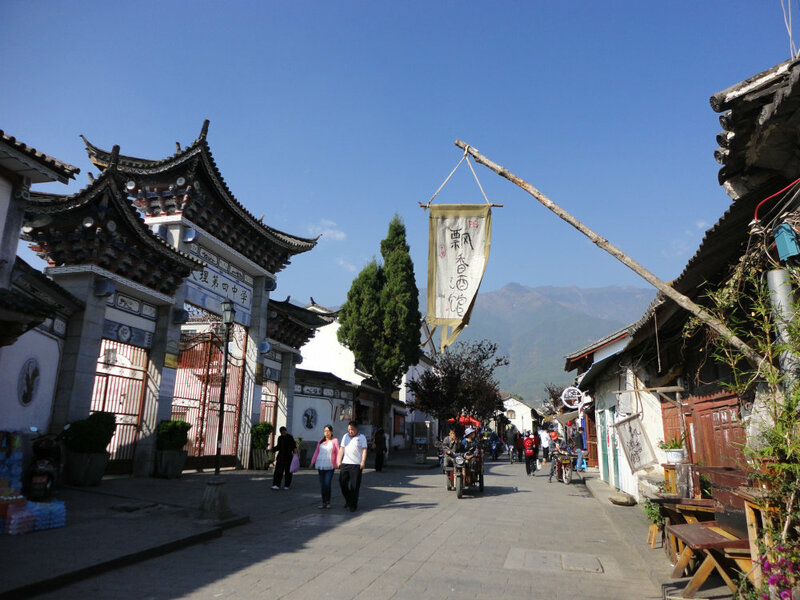 But Dali is also home to hipsters and bohemians from foreign and Chinese backgrounds alike, creating a very relaxed and laid-back atmosphere. Not surprising really, seeing as marijuana grows freely in the Cangshan mountains. We passed a vegan restaurant, a place famous for its yak-burgers, a colorful Tibetan restaurant, and numerous cafes where you could happily spend the whole afternoon blogging away to a fresh cup of coffee before settling on a tiny little restaurant with very fresh looking vegetables displayed along the street (yes, vegetables are a recurring theme in this blog. This is what happens when meat is somewhat unsafe in China! But more about that in a later post). Tip: if you ever go to Dali, find this little restaurant and order their eggplant. It was caramelized. Absolutely delicious. In case you couldn’t tell: I fell slightly in love with Dali. I don’t know whether I’ll go back, but our short day-and-a-half stop there made the journey west, and the subsequent 20-hour (!!) bus ride south to Xishuangbanna worth it. Prachtig! Wat heerlijk die fietstocht! Jaloers!!! Loved it! I want to hear more travels and Shanghai experiences.